When you visit the dentist for your next checkup, they may suggest that you have x-rays taken of your mouth to check for hidden damage to the roots of your teeth beneath your gums. An x-ray also allows the dentist to look at your jawbone to check for any underlying causes for concern. However, you may be wondering if an x-ray is really necessary, and you might be worried about being exposed to radiation if you get too many x-rays. So, are x-rays from the dentist safe? North Pole Dental Workshop in Alaska has the answers to all your questions about x-rays. X-Rays Use Very Little Radiation: Over the years, technological advances in the field of dentistry have resulted in x-rays that don't use much radiation. And because an x-ray uses so little radiation, the benefits of catching hidden problems with your teeth early usually outweigh the minimal risks associated with dental x-rays. Dentists Take Precautions: To minimize your exposure, your dentist will cover you with a heavy lead apron that blocks radiation. They also often use bitewing x-rays, which require even less radiation than a panoramic x-ray does. 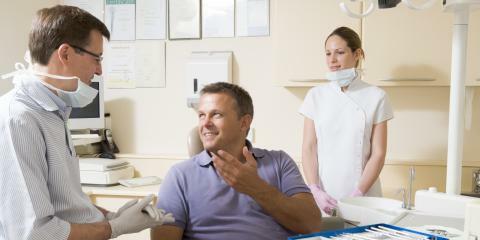 You Can Opt Out: It’s always appropriate to discuss any of your concerns with your dentist. Most dentists will work with patients to minimize the need for x-rays, especially when those patients are children or pregnant women, who are more vulnerable to radiation’s potentially harmful effects. When you need a family dentist who will listen to your concerns and work with you to address all aspects of your dental health, call Alaska’s own North Pole Dental Workshop at (907) 490-4650 to make an appointment. You can also find out more by visiting their website today.